A rural show is about community spirit. 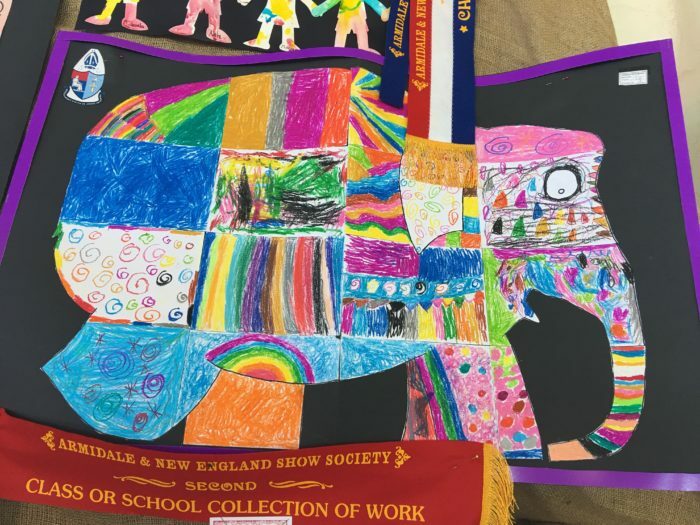 It was wonderful to see our students at the show enjoying the rides, showbags and tasty treats but it was their pride in their winning artworks that made the day special. 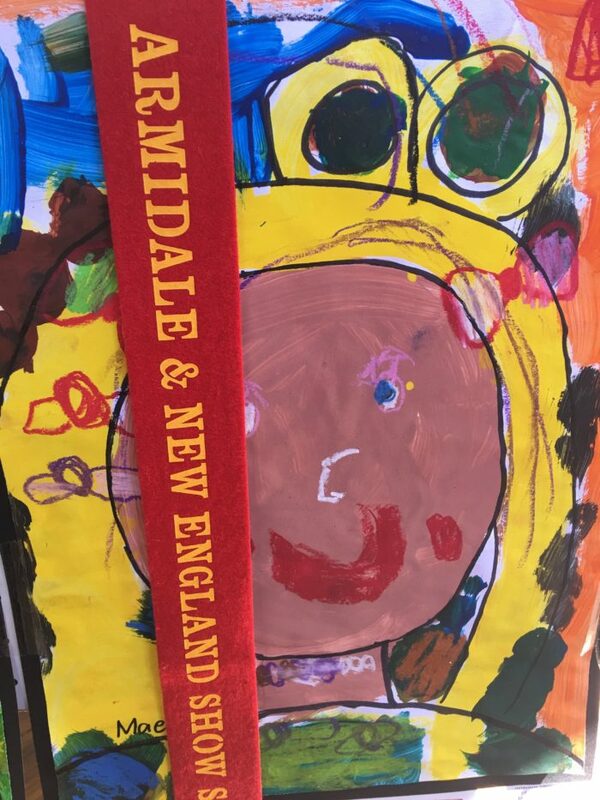 We were particularly fortunate to have several winning entries this year and it was wonderful to see the contributions that girls and boys made with items made at home. Congratulations to all our students. A big well done to Year 5/6 and Year 1/2 for their award winning class entries. 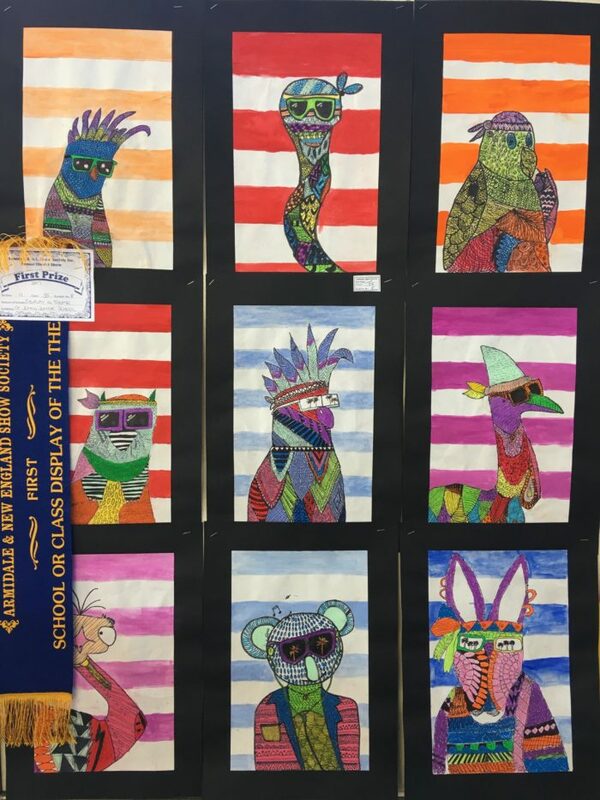 School or Class Display of the Theme – Year 5/6 1st place. 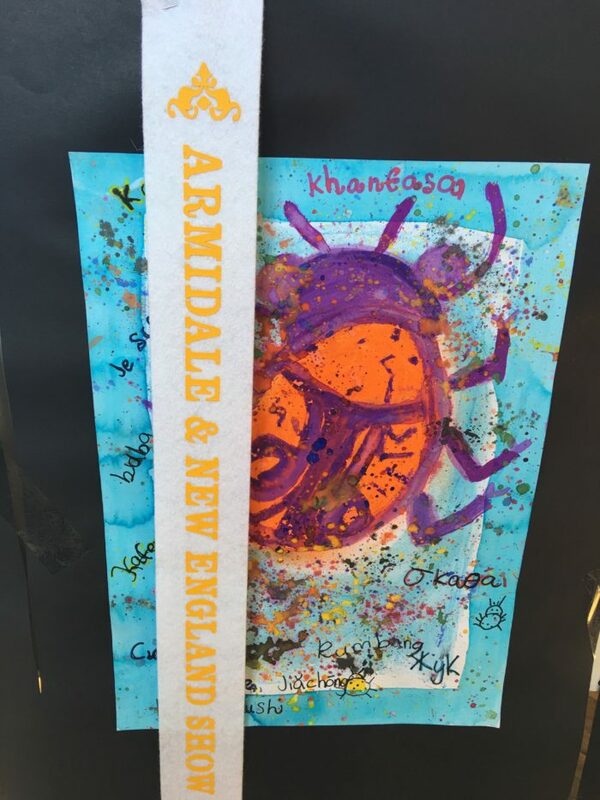 Class or school collection of work – Year 1/2 2nd place. Junior 9 – 11 years painting – Lily Lorimer 3rd, and Mae Northam 2nd place. Dimity Chalmers made an impact in the art works categories with entries in painting (1st), etching (1st) and places for her work in oils and drawing. Hunter McDonald ‘s contributions to the Show were outstanding! 1st and Champion specimen of needlework. 1st and Best Junior Exhibit for 6 pieces of pink and white coconut slice. Highly commended for butterfly cakes and homemade decorated biscuit. 1st in 250g cherry tomatoes. These also won best Junior Exhibit. 2nd best sunflower Exhibit. 2nd in zucchini. She won overall champion in the Junior produce section. 1st in hand post of flowers. 1st and Champion for enchanted garden. 1st in 3D project with native theme. 2nd in item made of wood. Highly commended in the colouring in competition. 3rd in painting junior section. Highly Commended, Felicity Chapman 1st and Polly Skipper 3rd. Well done to everyone who entered! Students from K – 12 can enter as individuals or a group. Auditions will be held in Week 9 and 10 to ensure that items are appropriate. Entries will cost $5 per item. Audience members will be asked to donate a gold coin. The NEGS/St John’s Talent quest will be held on the final day of Term 1 (6 April) at 2pm in the NEGS Assembly Hall. 6 April Let your Talent ROAR! 25 April – St John’s families are invited to join with NEGS at the Anzac March and wreath laying service in Armidale. 26 April – First Day of Term 2. Students return. We will begin the term with a student led K – 12 Anzac Service at 9am.